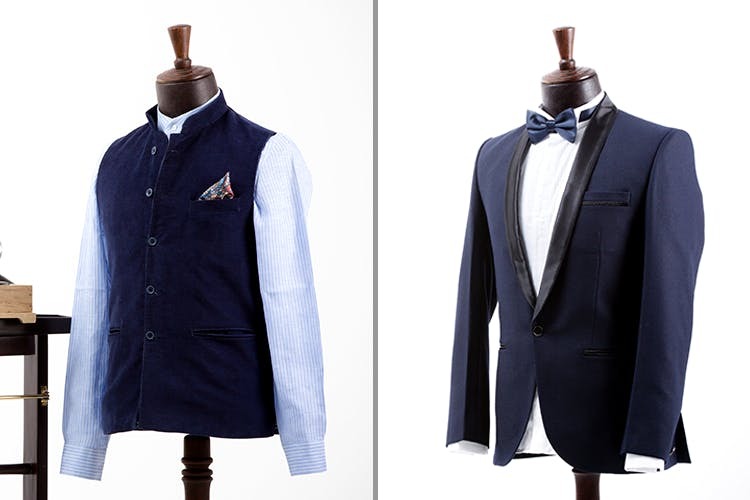 For all the to-be grooms who don’t know how to keep up with their fashionista brides, here’s your tailor-made answer. Studio Bassam, located in Khader Nawaz Road, Nungambakkam has been known for transforming men into grooms for over nine years. They specialise in bespoke tailoring of custom made shirts, suits and sherwanis. Being a one-stop shop for grooms, they also boast of a wide collection of shoes, ties, cufflinks, belts, hats, socks and pocket squares to match your outfit, so you really don’t have to go anywhere else. Depending on your style and comfort they offer you a wide range of fabrics, from cotton, silk, linen to plaid, flannel, tweed to Herringbone. Their designs tilt towards a sophisticated, timeless look with a contemporary touch. Here’s how it works — first, you are shown an array of outfits suited for all your wedding events. You are then required to give the staff your suggestions and what exactly do you have in mind for your dream outfit/outfits. Once both parties arrive at a design you love, then the store will design a look with the colours, style and fabric best suited for you, following which the tailoring begins. Within two fittings and 20 days, you have your entire look ready! Regardless of the theme of your wedding, if you’re looking for a tuxedo or an achkan, a sherwani or a bandhgala, they will take care of it. Their prices for a two piece suit for fabric and tailoring start at INR 20,000, a sherwani ensemble including the sherwani, kurta and pajama start at INR 25,000, and custom made shirts start from INR 3,500 here.